Well, it's finally here....it's Release Day at Taylored Expressions!!!! 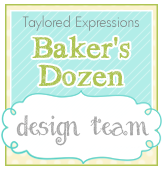 All the new stamps, dies, papers, and sequins are available for purchase in the New Section of the Taylored Expressions Store...WOOT!!! I just love these awesome tree dies....the Seasonal Trees die is smaller than a cutting plate which leaves room at the bottom for a sentiment. 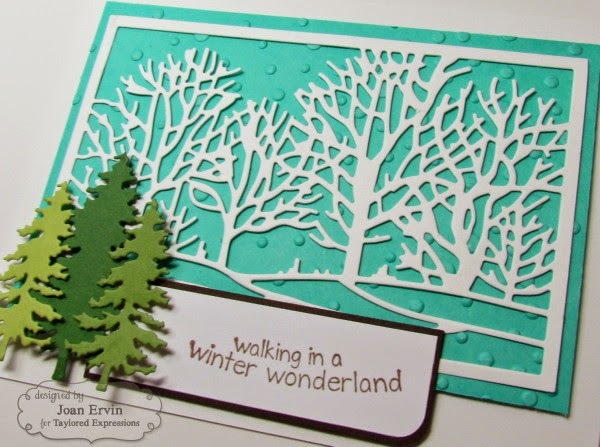 The Evergreen dies can be arranged along the side or they can be used on the Seasonal Trees die...they are so versital and look fabulous, too!!! 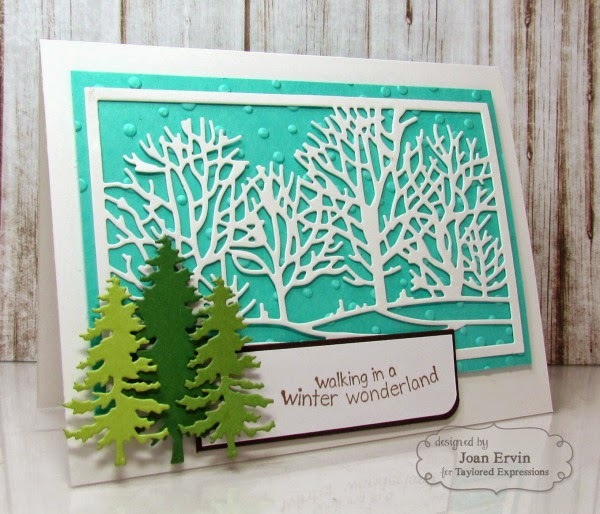 For my first card, the Seasonal Trees die was used on the Sugar Cube cardstock and the background Cookie Monster cardstock was embossed with the new TE Snowfall Embossing Folder. 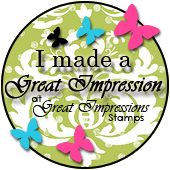 The Evergreen die was used on three different colors of green cardstock to add a little dimension and the sentiment is from the new TE Ready, Set, Snow stamp set. 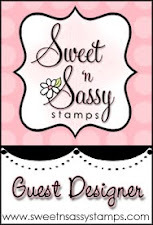 My second card features the new adorable Little Bits - Mittens dies and the new Ice Border. The mittens paper and the same background paper are from the new Gingerbread Lane 6x6 paper pack and a piece of Baker's Twine was used to hold the mittens together. The Ice Border was cut out of Sugar Cube cardstock and matted with a dark gray cardstock and the sentiment is from the new TE Little Bits of Christmas stamp set. Sewing and the Gingerbread Lane Sequins finish it off. 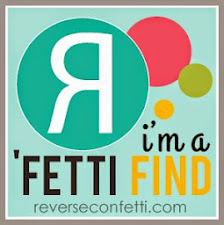 Thanks for visiting again.....If you'd like to see more projects and new product information, please head over to the TE Blog for a complete blog roll of our participating designers...I can't wait for you to see what they have created for you today!!! Oh Wow! 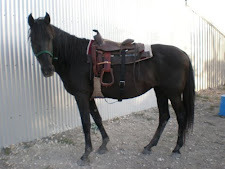 these are gorgeous Joan… I love the pretty white trees against the turquoise… SO beautiful !! and the evergreens look fab in the different shades of green! love your cards Joan - the teal/white/green color combo is perfection. 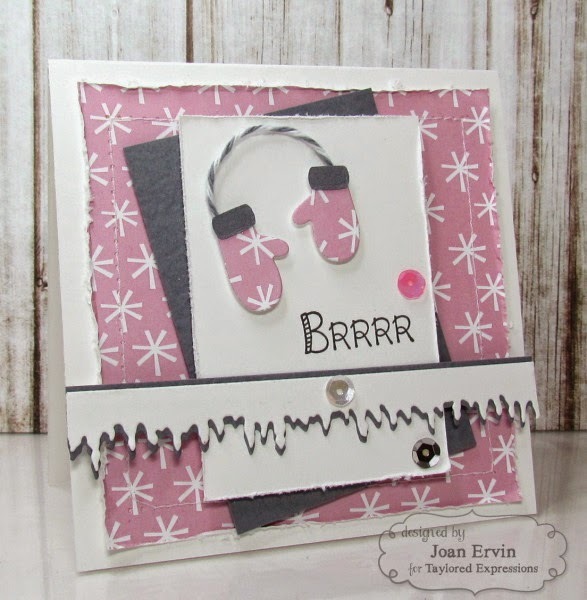 and love the gray mat behind the ice border die - gotta remember that! These are just adorable Joan! I love the forest cutting plate. I need to find a card design for that! Wow! I haven't bought anything TE in a long, long time but you may have just made a sale, Joan! This is spectacular! LOVE those trees! What great cards, Joan! I just LOVE the tree line in white on top of the blue! Awesome! Love both of your cards but the trees are gorgeous! Already dreading the need for mittens! Your first card is GORGEOUS and I love the layout of the second! Gorgeous, Joan! Love your winter wonderland scene and your sweet mittens! 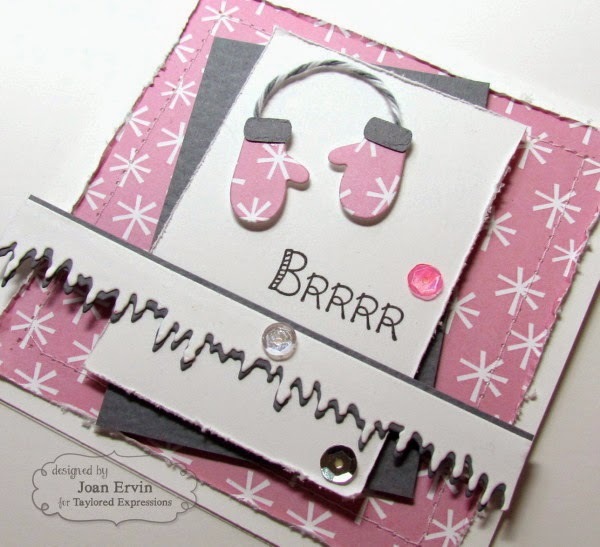 Sweet winter cards Joan. Especially love those trees on the first one. These are gorgeous Joan. But I must admit that I am in love with that first one :). Love that die and the colors are fabulous.